GAIKU attends technology conference Collision! The past months, we’ve been working on GAIKU and getting ready for the launch of our meeting app! We’re building GAIKU to be your perfect meeting guide. A powerful tool that will be easy to use and will make your meetings more efficient and fun. We can’t wait to share our story and spread the word about GAIKU! That’s why we’ll be attending Collision in New Orleans from the 2nd till the 4th of May this year. 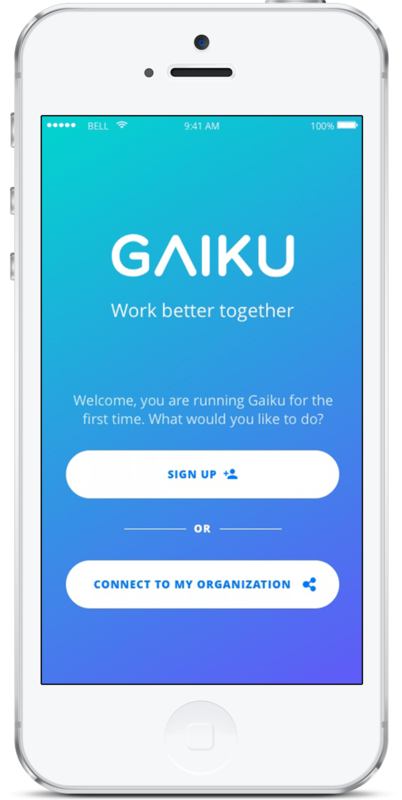 We want to show who we are, what our beliefs are and get you excited about GAIKU so you can start working better together! Great! But… what is Collision? Collision is a conference for tech companies, organized by the team behind Web Summit. If you are unfamiliar with Web Summit or Collision, the setup is the same for both conferences. Startups are invited to display their ideas, innovations and business models. Collision exists for only two years, but it’s already becoming America’s fastest growing technology conference. It has grown to over 20,000 attendees from more than 110 countries! Attendees include CEOs of the world’s fastest growing startups and the world’s largest companies, alongside leading investors and media. Inspiring talks, live music, workshops and of course the pitches of promising and quality startups like GAIKU will all be present. Collision is exploding with innovative ideas and products from the best and newest technology businesses. If you’re attending the conference, you can expect to learn from tech’s most influential people and businesses. Only the very best startups are picked to attend Collision, and GAIKU has been given this opportunity. In order to attend as a startup, the team of Collision will look at a few things like growth potential, team, cool factor and if the product or service is considered to have an impact on the attendees of Collision. Founder Jasper Meerding, operations manager Hannah Boom, and COO Arjen Halma will be representing GAIKU. We’re very proud to be part of this conference and can’t wait to show why we created GAIKU and how GAIKU will transform business lives by making local and remote teams work better together. Excited? Take a look on www.collisionconf.com. We hope to see you in New Orleans! Want to join our meeting revolution? Awesome, that’s one step closer to working better together! Join the waiting list and follow us on social media to stay updated.